Dr. Charng-Shen Wang A.P., M.A., P.T., C.M.T. Charng-Shen Wang, A.P., M.A., P.T., C.M.T. serves as the CEO and Director of our five clinics. Dr. Wang is both a Licensed Acupuncturist and Physical Therapist. He apprenticed in the field of Traditional Chinese Medicine prior to receiving his bachelors degree in physical therapy from the National Taiwan University. He then pursued and received his advanced masters degree in physical therapy from New York University. 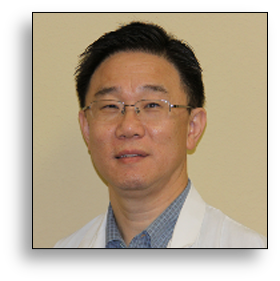 In 1993 Dr. Wang attained certification as a manual therapist and graduated from the John Shen Institute with his certificate in acupuncture. He has served as a clinician and Physical Therapy Director for numerous companies in the Central Florida area. He is a member of the National Commission for the Certification of Acupuncturists.